the sandhill cranes are migrating further south. Christmas is over & flu season arrived. I was under the weather for a few days but finally felt well enough to venture outside. The weather is turning much colder and we've had some frosty mornings. It won't be long before winter arrives. Below freezing nights are causing the creek to form ice sculptures. Part of my Christmas decor includes a miniature house with reindeer that run around it. The grandkids think its delightful. Tilly decided this box was just right. Christmas ferns stay green all winter and the leaves are shaped like tiny stockings. then discovered this new hole. Probably a pileated woodpecker working on a new space. The deer have grown new winter coats and they blend in with the bark on the trees. 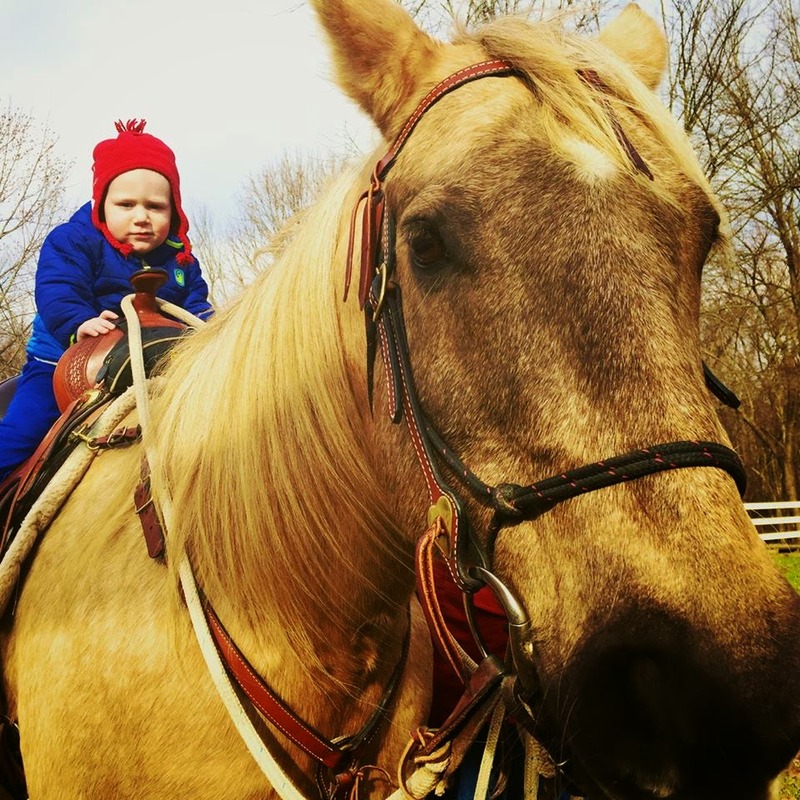 Youngest grandson, Maverick, has seen me riding and working the horses. of fencing and checking out how it works. A true cowboy in the making.